Serve a small plate of finger food and desserts on this 8.5" porcelain scrolled plate. 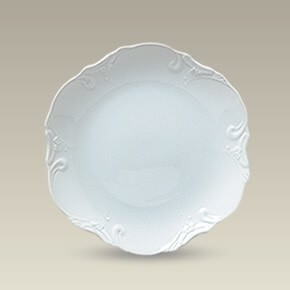 The plate has an embossed design along its rim and scalloped edges. Made in China. Microwavable and dishwasher safe. These SELECTED SECONDS have small areas of uneven glazing or pin holes. All sales final.